Welcome to "The Working Man®" Boots & Clothes for Work & Play, where we guarantee to meet or beat anyone's advertised price. Thanks for stopping by, following is a little history on how we got started. Vincent Jobbing Company is a 4th generation family business that has been in operation since 1952. Jack Vincent began in the early 1950's as a manufacturer of baby shoes known as "Sturdy Step Baby Shoes". Over the years with the growth of the business and the involvement of his son, Milburn Vincent, they began to wholesale all types of footwear throughtout the southeast. By the mid 1970's the "Sturdy Step" factory had closed, but growth of their wholesale division of men, women, and children shoes had grown into a very profitable and full time business known as "Vincent Jobbing Company". Milburn's sons, Frank and Joe, became involved in the business and helped continue the growth and expansion of the company. In the early 1980's the brother's opened their first retail store "Vincent Boot & Shoe" in Amory, Mississippi. The concept of "Vincent Boot & Shoe" is a family type shoe store selling refinished shoes at discounted prices. They quickly realized the success and potiential growth of the retail division and began to open more retail stores, along with their wholesale division. Over the next few years "Vincent Boot & Shoe" stores had locations in Mississippi, Alabama, and Tennessee. In the early 1990's Frank's son, Chris, and Joe's son, Matt, started working for Vincent Jobbing Company and became the 4th generation to carry on the family business. 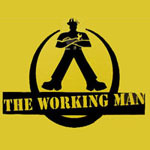 In 1999 the concept of "The Working Man®" store was developed. "The Working Man®" is a men's store specializing in first line outdoor clothing and footwear. By carrying the top brands in outdoor clothing & footwear and diligently working with local industry "The Working Man®" has become a huge success. Also, around this time Jeff Vincent, Frank's youngest son, joined the company. Jeff oversees the wholesale boot truck route which covers 5 states. Currently Vincent Jobbing Company is structured as a corporation consisting of three divisions - the wholesale division, Vincent Boot & Shoe, and The Working Man®. The Operating Officers are Frank Vincent, Chris Vincent, Matt Vincent, and Jeff Vincent with each having different roles in the daily operations. The majority of growth has been seen in "The Working Man®" division. Every aspect of this concept has been a success. We are one of the largest dealers of Wolverine Boots & Shoes, Redwing Boots, and Carhartt clothing in the Southeast. Even with the success and growth of "The Working Man®" we still appreciate EVERY CUSTOMER and every sale - No matter how big or how small.